Use the power of the dark side to protect your hard earned cash! 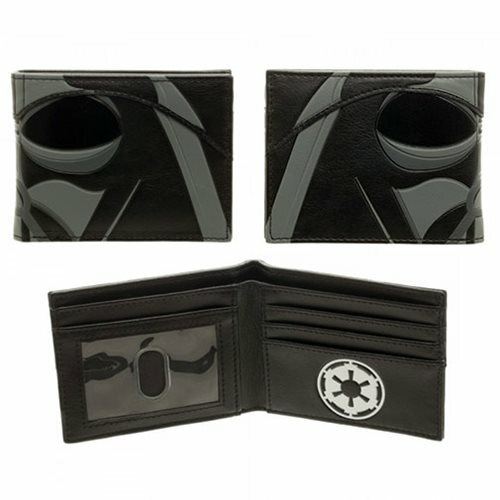 This Star Wars Vader Helmet Bi-Fold Wallet is inspired by the design of the Sith Lord's helmet! Open it to find the Empire's logo prominently displayed in contrasting white. This wallet has three horizontal card pockets, two vertical card pockets, one transparent ID window, and one full size currency compartment. It measures approximately 4 1/2-inches wide x 3 1/4-inches tall. Ages 14 and up.